Built in the Netherlands, Brigadoon, a CE Category A boat, is designed and built to survive heavy seas, transit skinny water, and is the only commercially available boat that has the ability to self-right from a rollover! 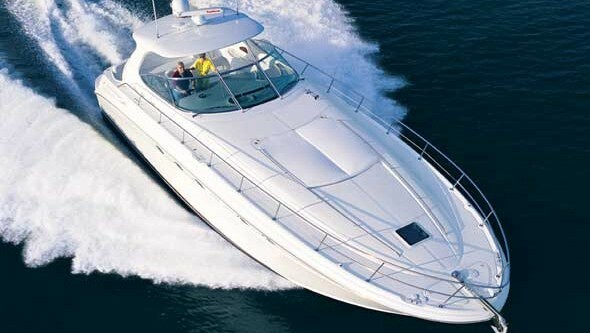 She is a high-end European pleasure boat, with a sleek appearance, superb fit and finish, economical use of space, efficient design, and masterful engineering. 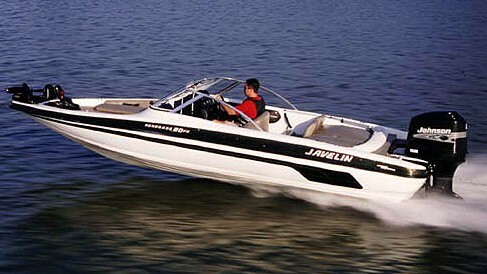 Her hull is made of Twaran/Kevlar, which is five times stronger than steel! The Elling E3 has a well-deserved reputation for fuel efficiency, safety, and comfort. Even in beam seas her roll motion is moderate, thanks to roll-damping properties inherent in her hard-chine hull, which works with the sea instead of fighting it. A Great Loop veteran, Brigadoon spent the rest of her time in the fresh water Great Lakes, until she was purchased by the current owner in August 2018, who brought her through the river system to the Gulf of Mexico. While in the Great Lakes she was in the water 4 months each year, and spent the other 8 months in a heated storage building. 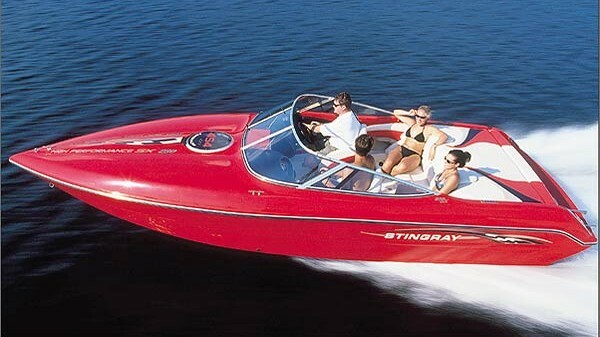 She is well equipped for both weekend and long-range cruising. 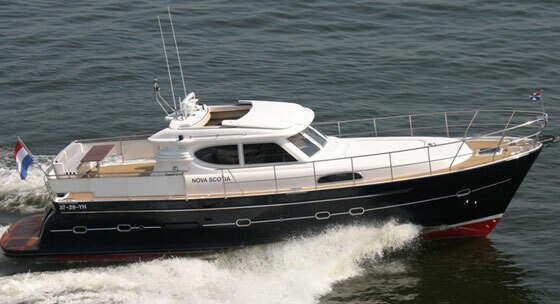 The navy blue Awlgrip painted hull and cream colored pilothouse exterior of Brigadoon immediately draw attention. The main deck is all one level, which give great views from the cockpit seating area, and make it easy to move forward and aft. The freeboard is quite high at 81" at the bow, dropping slightly to 67" at the stern. There are teak toe hole steps built directly into the hull on both sides, which assist boarding. The cockpit seating area features a convertible wood folding table for an alternative dining area, cushioned built-in seating, an exterior faux teak sole, a barbeque grill with 2 propane tanks in a locker, a canvas bimini top, and 250' stern anchor line on a stainless steel reel. Teak steps go down to the swim platform, and lift for access to a lazzerette/storage room. The current owner installed an enlarged aluminum swim platform with an aluminum swim ladder and fixed hand rails for added safety. The Awlgrip painted bow has a large foredeck for storage, and there is a raw water wash-down on the bow. Brigadoon is equipped with a 60 lbs plow anchor including chain counter, with 220' of 5/16" high strength chain. The pilothouse in entered through a door from the cockpit, and is one step down. The step is covered by a non-skid material. There is also a window that opens from the cockpit into the pilothouse. Brigadoon is driven from the pilothouse helm. There is an L-shaped settee to port which converts to full berth, with a folding wood table, which provides seating for guests, and an alternative dining area. Large windows provide clear views. There is a large panel in the roof which opens electrically to let in fresh air and sunshine. When closed, there is a watertight seal created by an automatically inflating gasket, which is proof of the engineering on the Elling E3. 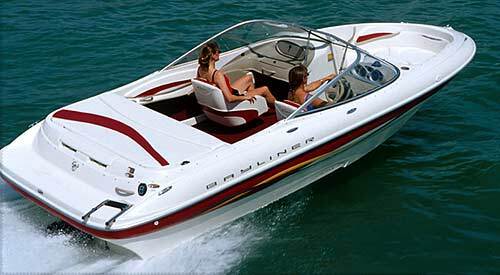 The leather, hydraulic Captain's helm chair is air damped, which makes it comfortable for long cruises. All of the electrical controls are located in the pilothouse. The pilothouse opens to the salon which is a few rounded steps down. 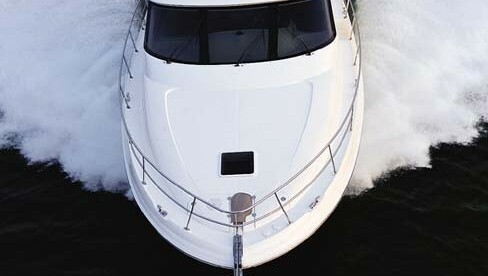 The open configuration keeps anyone below connected to anyone in the pilothouse, and makes the full beam salon light and open. Large curtained windows also allow natural light into the salon. The manufactured teak and holly sole is easy to keep clean. The salon on Brigadoon features a large rounded settee to starboard, two built-in chairs to port with a television in between, and a beautiful round table, which may become the focal point of your time spent in the salon, and is another alternative dining area. The joinery is exquisite and is indicative of the craftsmanship that went into building the Elling E3. The galley is to port, aft of the salon. Every inch of space has been utilized to make an easy to work in galley that features: a large Bosch dishwasher, a 4 burner Bosch ceramic cooktop with a Bosch exterior venting exhaust fan, an upright refrigerator/freezer, a microwave/convection oven, Corian countertops, a "wine cellar" in the floor hatches, ample counter space, and storage cabinets. The Master stateroom on Brigadoon is aft, and is entered through the galley way. A walk around queen sized bed is situated starboard to port. The large escape hatch aft, and the window to port allow natural light in. A television is on the wall at the foot of the bed, and a hanging locker provides storage. The V-berth is the guest stateroom, and features a full sized berth, an overhead escape hatch, a full hanging locker, and a built-in bench seat. The bunk room stateroom is aft to starboard. It can be two bunks, one bunk and storage, or all storage. Additionally, the pilothouse settee converts to a full size berth for a total of 7 berths. The single head is forward to port, and is accessed from the salon. It features a tile floor, full shower, sink, storage, exterior venting exhaust fan, and electric fresh water flush head. Making full use of space, the engine room is amidships. It is accessed by removable wall panels in the galley, and in the bunk room, which give access to both sides of the engine. The panels are well insulated and sound proofed. Additionally, the current owner has added Walker Airseps which assist with keeping the engine area clean and the atmosphere in the salon fresh.